Cherry blossoms become full bloom in Tokyo. Cherry blossoms become full bloom in central Tokyo on March 22 2013. Every cherry trees bloom all together. 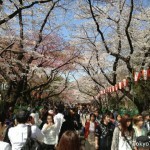 Many people visit major places to see cherry blossoms. Not only the flowers but also visitors are full. Many exhibitions will be held at Museums in Tokyo in the spring of 2013. 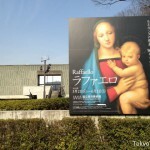 Sometimes it takes a long time to admission in popular exhibitions such as “Raffaello”. You will be better to make a plan which has a margin in time. *Final admission time will be 30 minutes before from close time at most museums. 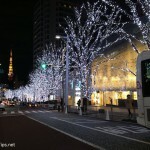 Roppongi Hills is a redeveloped place where is an old and crowded residential district at Roppongi. There are high-class apartments, aggressive company offices that have edges, a luxury hotel, a flagship TV station in Japan, a radio station for Tokyo, many high fashion stores and restaurants, movie theaters, a museum and an observation deck in Roppongi Hills. Above all, a big and tall building called Mori Tower is a landmark of Roppongi Hills. 26th. Tokyo International Film Festival dates have been announced. It is held from October 17 to October 25 at Roppongi Hills and other places in Tokyo. More details will be announced sequentially. 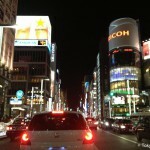 Ginza was clouded. Almost stores were closed at 1 January called “Ganjitsu”. Many stores were open from January 2 or January 3 with their sale. 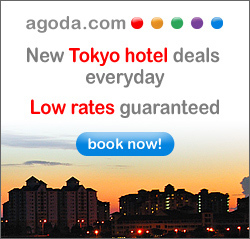 *Tokyo hotels present better rates just now. Do not miss it.